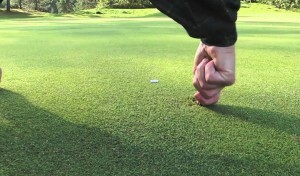 Finding the right opportunity as a seasonal greenkeeper still learning the craft can be tough. There are certainly some horror stories out there. 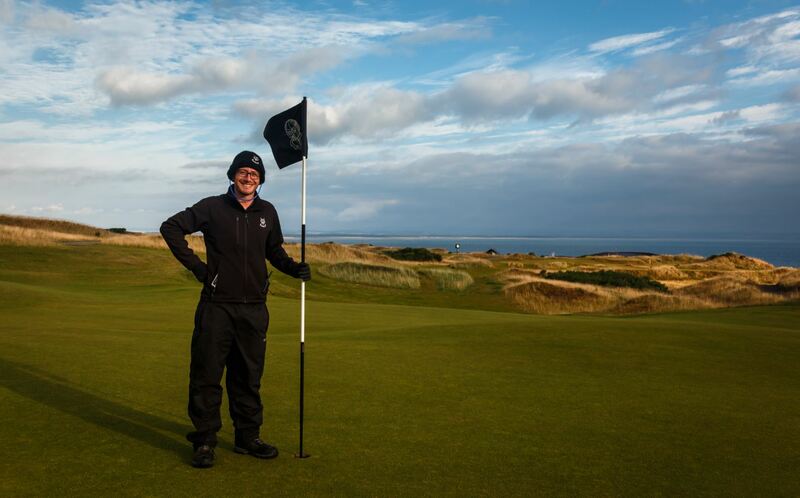 When I applied for a seasonal position at St Andrews Links, my ambition was to gain both invaluable greenkeeping experience while also adding a world-renowned golf facility to my CV. Surely, it couldn’t be possible to have the best of both worlds? Despite my excitement, I would be lying if I said I wasn’t slightly anxious coming into the role. 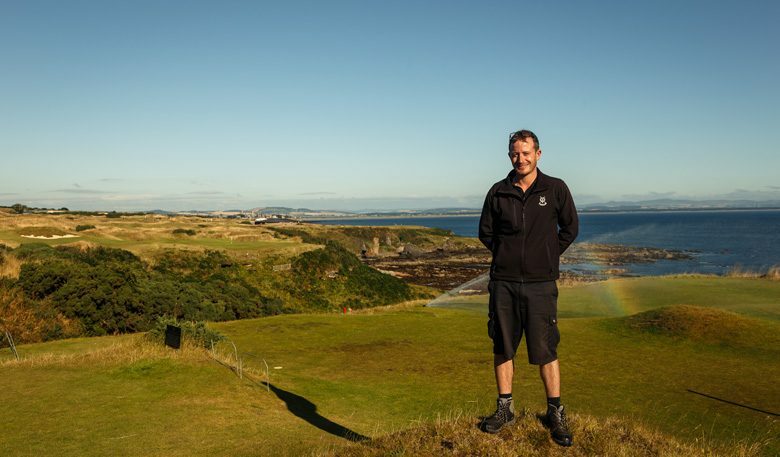 Although the Home of Golf undoubtedly holds a high level of prestige, what would it be like to work in such a large greenkeeping department? What new skills would I gain? Which of the seven courses would I land in? At the risk of sounding cheesy, I believe I landed on my feet at The Castle Course. 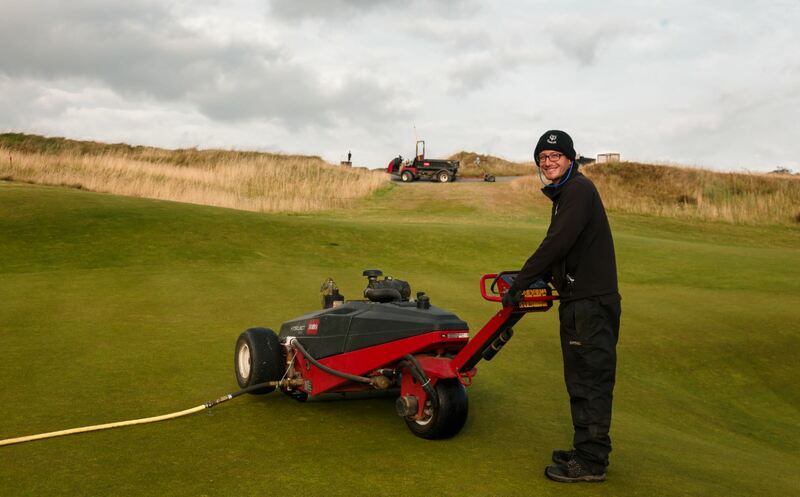 As we approach the end of the season and indeed my time at the Links, I have learned as much or even more than in my previous two years of greenkeeping. It has also been a perfect complement to my greenkeeping education, having recently completed an HNC in Golf Course Management at SRUC Elmwood College. The management team at The Castle Course are very approachable and always took the time to answer any questions I had, which really helped me understand all the thought and planning that goes into year-round turf management. Beyond the management team, the staff have all been very welcoming and are a great group of guys to work with. Off the top of my head, I would guess that there is over 150 years of cumulative greenkeeping experience among the crew, which gave me a great opportunity to pick the brains of all the staff. On a broader scope, St Andrews Links offered me and the other seasonal greenkeepers various learning and development opportunities. I attended seminars on grass seed, wetting agents, CV writing and interview skills among others. 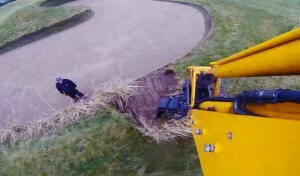 Combining this with my time at The Castle Course has really shown me the true professional side of greenkeeping. 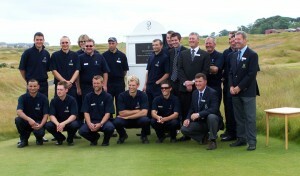 Despite the horror stories I feel lucky to have enjoyed a fantastic experience at the Home of Golf. Here’s to the next challenge.